Find a wide choice of Port Charlotte Homes for Sale. View homes in quaint, affordable neighborhoods or luxury, gated waterfront communities. Browse through the listings of Port Charlotte homes for sale and find the perfect one for you. Port Charlotte, FL tops the list of BEST communities, named best place to live, best place to retire and more. Port Charlotte, FL is an affordable slice of paradise. For fast friendly assistance with your home search, call us at 941-235-7474 or email us at sales@suncoasteam.com. 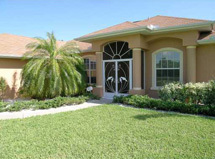 When you search for Port Charlotte Homes for Sale you will find a wide selection. Port Charlotte has homes on waterfront canals with boating access to the Peace River, Charlotte Harbor and the Gulf of Mexico. Avid boaters seek Port Charlotte Homes for Sale because they offer great value in a large price range. Water front homes may be found in gated communities or in areas without deed restrictions. For those seeking Port Charlotte Homes for Sale that are not on a waterfront canal, there are great values here as well. In Port Charlotte one can find a small, economical bungalow, a larger mid level home or a large luxury home. If you prefer a swimming pool, there is always a large selection of pool homes as well. Port Charlotte is a hidden jewel. Located on Charlotte Harbor, a large, clean estuary, boaters will find Port Charlotte the perfect location for boating, fishing or sailing. Suncoasteam Realty will help you find the right Port Charlotte Homes for Sale that will meet all your needs. You should call Your Suncoasteam today for fast, professional assistance with your home search: 941-235-7474 or sales@suncoasteam.com.